ABU DHABI, 10th January, 2019 (WAM) -- Space exploration is driving the creation of futuristic technologies that have a potentially vast range of applications on earth if they are effectively harnessed by business and innovators. At the next edition of Abu Dhabi Sustainability Week (ADSW), a leading global forum hosted by Masdar, Abu Dhabi’s renewable energy company, the promise of space technology will be highlighted at a range of platforms hosted at WFES (World Future Energy Summit) 14-17 January, and designed to nurture partnerships between innovators and business to unlock the immense business opportunities on offer. Over the next decade, the promise of space technology will acquire a new momentum, building on previous diverse applications leading to breakthroughs such as converting waste plastic into petroleum products, developing new treatments for osteoporosis, and using satellites to monitor pest migration patterns and help stabilize global food prices by tracking rice crop yields. With its own active space program led by the Hope project - Emirates Mars Mission to land a spacecraft on Mars by 2021, the UAE is seeking to catalyze the potential of work in this field by rolling out space-derived innovations to accelerate overall social and economic development. "Space exploration is a bridge to the future. In learning how to maintain life in space we are innovating the sustainable technologies of the future," said H.E. Dr. Eng. Mohammed Al Ahbabi, Director General of the UAE Space Agency. "We are looking forward to ADSW as an opportunity to highlight the UAE’s achievements in space and encourage our emerging scientific talent to maximize their innovative potential through active engagement in the field." "With our focus on youth and our future space pioneers, we are looking to bolster the UAE’s position as a competitive international hub for space sector start-ups within a diverse and business-friendly environment to help unleash visionary new ideas," added Dr. Eng. Al Ahbabi. Reflecting its objectives and commitment to nurturing emerging talent, the UAE Space Agency will act as Strategic Partner -Space of the 2nd Edition of CLIX ("Climate Innovations Exchange"). Hosted by the UAE’s Ministry of Climate Change and Environment, CLIX is a key sustainability innovation platform within the ‘Youth 4 Sustainability’ (Y4S) hub which, along with Space, is one of the seven core pillars embedded in WFES (World Future Energy Summit), a key enablers of ADSW. 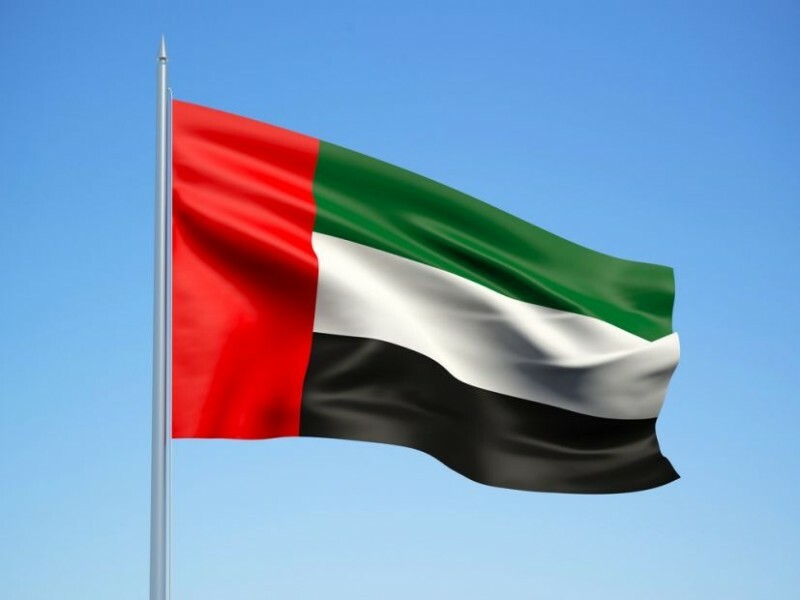 The importance attached by the UAE Space Agency to feeding its innovations back into terrestrial adaptations has already been demonstrated by its agreement earlier this year with Krypto Labs, an Abu Dhabi-based innovation hub and incubator, to facilitate the development of a "GeoTech" Innovation Program designed to enable several local start-ups to transform their innovative ideas into commercially viable and scalable market-ready products. By supporting budding innovators in urban and rural land management, disaster and crisis management, and coastal border security, the scheme serves a local capacity-building function that showcases the space sector’s ability to inspire tangible innovation on earth. As one of the must-attend events of WFES, CLIX will provide a dynamic marketplace of innovation involving over 3,000 attendees, with a special focus on Sustainability in Space, Future of Energy, and Future of Food and Agriculture that culminates in demonstrations from 48 start-ups and pre-start-ups selected as finalists from an intensely competitive field. By providing such a productive forum for the commercialization of such dynamic creativity, WFES is aligning itself with industry trends that emphasize the key inputs of new start-ups in space tech. A recent report by Bryce Space and Technology, a leading analytic consulting firm for space and satellite, cyber, and R&D clients, details the vanguard role played by start-ups in accelerating space investment through a range of seed, venture, and private equity finance. According to Bryce, which is also acting as a supporter of CLIX along with WIPO and the Solar Impulse Foundation, start-up space ventures have attracted over US$18.4 billion of investment since 2000, with a clear upward trend in the investment rate evident over the past two years. "Through our support for CLIX, Bryce welcomes the opportunity to help encourage space industry startups to showcase their innovations at a globally prominent platform," according to Mike French, Senior Vice President of Commercial Space at Bryce Space and Technology. "We are delighted to support this exciting and inspiring event and look forward to the critical role ADSW can play in bringing together innovators with stakeholders committed to realizing the full promise of space-derived tech to impact our lives into the future."